BOMANITE CORPORATION has developed five new creations in Textured Risers to help architects achieve a dramatic, yet natural, touch to their architectural concrete paving projects. The newest addition to the BOMANITE family of products adds a deep texture to step faces. The heavy relief in the BOMANITE textures available are similar to the appearance of textures found in natural stones: BOMANITE’s Cliff Rock Face, resembling a shelf formation of jagged rocks with almost 2″ of relief in the texture; BOMANITE’s River Rock Face, containing oval-shaped rocks on edge averaging about 6″ in diameter with up to 1″ of relief; BOMANITE’s Chipped Granite Face, having a sculpted granite texture comparable to quarried granite stone; BOMANITE’s Slate Face resembling the texture of natural slate; and BOMANITE’s Cantilevered Slate, with the cantilever adjustable from 0″ – 4″. Whether a project calls for a single step or a cascade of steps, BOMANITE’s new system provides architects with the vertical texturing option needed. Exterior applications include steps, patio edging and decorative planter areas. Interior applications include planter faces, fireplace hearths and indoor steps where a rustic, natural-rock look is desired. BOMANITE Textured Stepliners can also be used in conjunction with BOMANITE — cast-in-place, colored, textured and imprinted architectural concrete paving — on commercial, residential and municipal projects to create innovative spaces that complement and blend with the surrounding area. 1.01 Description – The work in this section shall be designated as BOMANITE Textured Risers in the plans. The work shall include labor, materials, and equipment required to complete the installation. 1.02 Definitions – BOMANITE Textured Risers: cast-in-place concrete risers having the surface textured and patterned using BOMANITE Textured Stepliners. The Bomanite Coloring Systems used with the BOMANITE Textured Risers are optional as detailed in Section 2.00 below. It is highly recommended that the local Bomanite contractor be consulted regarding the appropriate coloring system prior to writing spectifications. 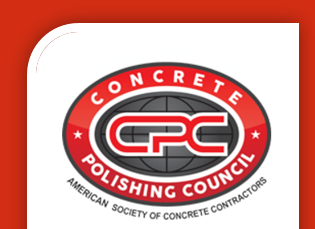 b. Reinforcement (optional): All cast-in-place concrete, whether horizontal or vertical, shall be reinforced in accordance with the guidelines and recommendations of the American Concrete Institute. Sub-grade shall be prepared in accordance with accepted industry standards. The formwork shall be installed and properly braced in accordance with the plans. The BOMANITE Textured Stepliners shall be positioned and secured to the inside face of the riser forms in accordance with the plans. Provide and place reinforcement as specified in the plans. e. The concrete shall be placed and screeded to finished grade and floated to a uniform surface. f. Optional: The concrete shall be colored in accordance with the BOMANITE Coloring Systems standard procedures. See Product Information Bulletins for specific installation procedures for each individual coloring system. g. The concrete shall be sealed following the removal of the stepliner forms and completion of the coloring processes in accordance with BOMANITE installation standards.